Chances are you’ve probably heard someone talking about that amazing spin class they go to. You’ve probably also wondered how sitting on a stationary bike in a dark room full of sweaty humans cycling to chart music could be ‘amazing’ right? We have 8 reasons why you should start peddling and seeing the benefits of spin classes. 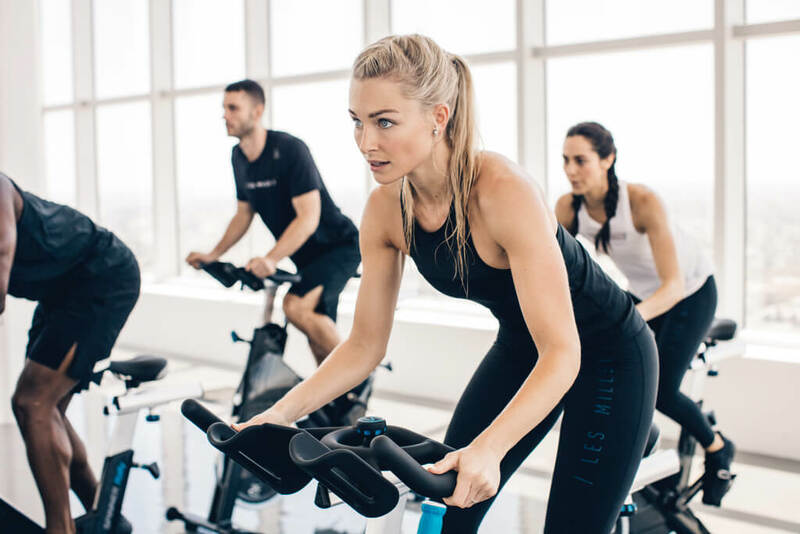 Read on to find out why that spin class you’ve heard so much about, could quite possibly be the best thing you have ever done! You know that feeling you get when you look in your bank account on payday? That warm, fuzzy, happy (I’m rich, at least for a day) feeling? Well, that is your body releasing feel good endorphins into your blood stream. And guess what? Exercise does that too! Now you may not believe us just yet – but jump on a Spin bike, take part in a class and we bet you’ll feel much better than you did going in! This is because exercise produces endorphins which interact with receptors in your brain and trigger positive feelings in your body. You’ll leave the class feeling physically tired but mentally you’ll be on a high, and that is the feeling you’ll become addicted to. That is why staying active can help so many people combat depression and other negative mental and physical health conditions including stress. Spinning is perfect if you are recently recovering from an injury or surgery or just need to take things a little more gently. Don’t get us wrong, you can still get a great workout, but as the bike is stationary there is no risk that you will come off or collide with another cyclist. It also means you can focus on what really matters in class, working towards your fitness goals. If you are unsure whether a Spin class would be suitable for you, get in touch with us, and we can answer any queries you may have. Be sure to arrive early to your first class so that instructor can set you up on the bike safely. Cardiovascular fitness is the ability of the heart, blood cells and lungs to provide oxygenated blood to our muscles allowing them to produce energy so we can move. Basically the more cardiovascular fitness you have the easier it will be for you to move and stay active. It will also lessen your chances of getting Coronary Heart Disease and other cardiovascular health problems. 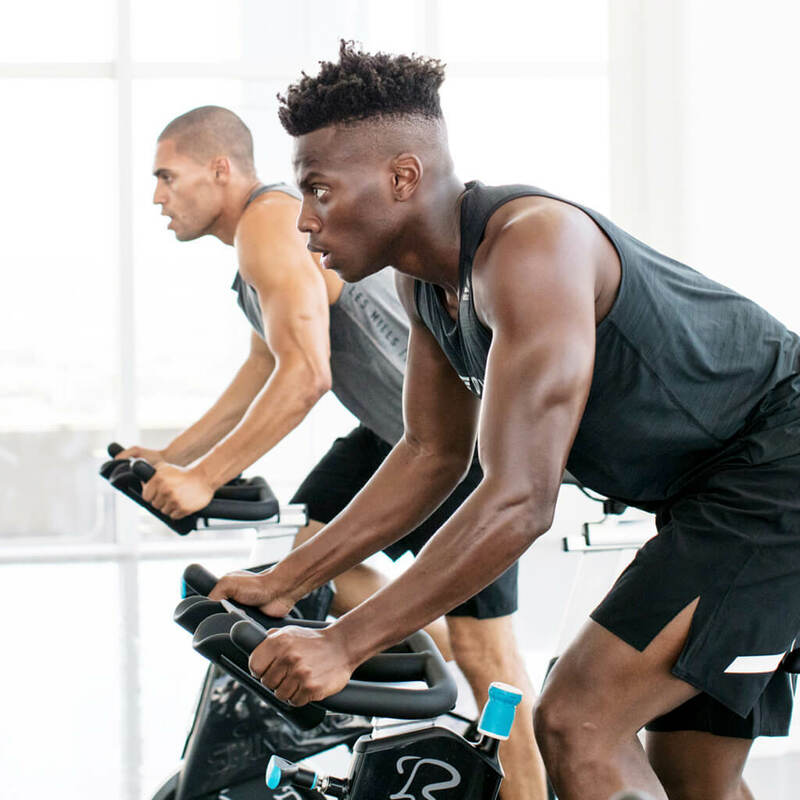 A Spin class can be an effective and safe way for you to increase your cardiovascular fitness under the supervision of our highly qualified Spin instructors. One of the best advantages of a spin class is the increase in muscle definition in your legs and core We don’t need to tell you how important the strength of your core is, it basically holds your body upright. Muscle weighs more than fat, so people get confused when they want to lose their muffin top but start to see an increase on the scales! Our advice – ditch the scales, don’t aim for a number or a size of jean, aim for how you want your body to look. As you start to build more lean muscle definition you are likely to put on weight but your body shape will change in all the right places. Plus the more muscle mass you have the more calories your body burns day to day, even when resting. There’s no arguing about it – it has been scientifically proven that exercise can help to reduce stress. Exercise focuses your mind allowing you to clear your head space and temporarily forget whatever stressful day you’ve had at work or at home. Exercising makes you feel good about yourself and increases your confidence, all of which help to reduce stress within our daily lives. In the sixth of our benefits of spin, we are looking at the reduced risked of injuries. Unused muscles and joints become weak, tired and stiff. So when it comes to needing to move quickly, lift something heavy, or even getting out of bed, the fitter your body is the easier it is to complete daily tasks and the less injuries you will subject to. Now sometimes this can feel like swings and roundabouts, you want to work out but whenever you do you end up feeling worse. Don’t let that put you off, more often than not DOMS (Delayed Onset Muscle Soreness) feels like you’ve pushed yourself a little too much, when in fact it is just your body trying to repair itself. Whenever you work out, the muscles in your body react to whatever type of training you are doing. Ultimately you need to ‘tear’ our muscle fibres during exercise to get the results we want whether that be increased size, strength or even to tone and shape. The pain you feel up to 24-48 hours after exercise is more often than not a good thing. It’s your body repairing and adapting to your hard work. If you are concerned or feel like you are doing more damage than good, have a chat with our gym instructors. Taking part in a Spin class is a great way to meet new people. Working out with others not only subconsciously makes you work harder but it creates a sense of camaraderie. This is your workout, you set the pace, push your limits and see the benefits of spin. If you’re not feeling great, then you can take it a bit easier. Had a bad day? Take your aggression out in the class. Brand new to fitness? Arrive early, introduce yourself to the instructor and take it steady for your first class. You can tailor your workout to what your body needs and our instructors will be with you every step of the way!